Radical Jewish women rabble-rousers are getting their due in young people's books in the past few years. After being featured in the 2013 picture book Brave Girl: Clara and the Shirtwaist Makers' Strike of 1909, by Michelle Markel and illustrated by Melissa Sweet, labor leader Clara Lemlich is now the subject of author Melanie Crowder's recently published YA novel-in-verse, Audacity. 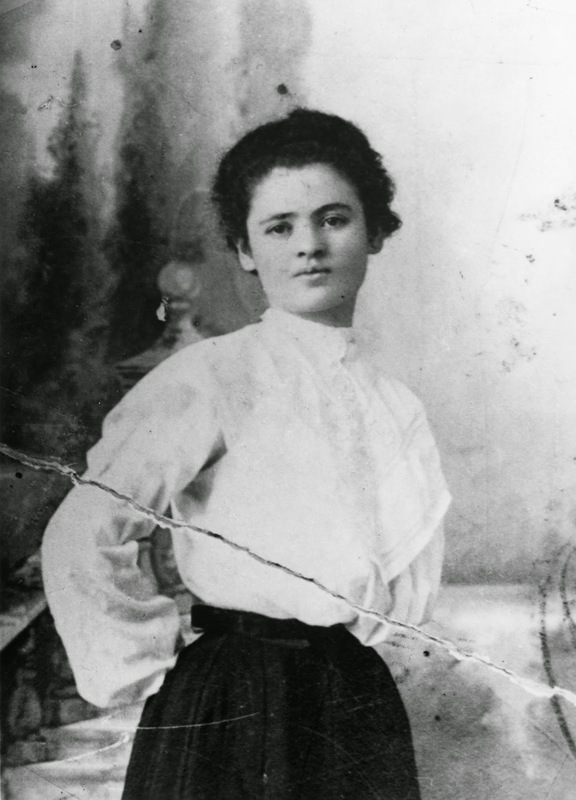 Clara Lemlich (1886-1982), a Russian-born Jewish immigrant who came to New York at the age of 19 and almost immediately began working in the Lower East Side's garment sweatshops, is best known for sparking the Uprising of 20,000, a huge strike of shirtwaist workers in 1909 and the largest strike in U.S. history up to that time. Crowder's terrific novel is a must read for all young people who hope to change the world. Although Audacity deals only with Lemlich's early years, Lemlich continued to advocate for the downtrodden throughout her life; in her last years in a nursing home she even organized the orderlies. She is the embodiment of "tikkun olam", a Jewish phrase meaning "repairing the world," which has become synonymous with humanity's obligation to pursue social justice. Q) What inspired you to write a novel about Clara Lemlich? A) Clara is one of those people who is only given a single line in history books. Her story is so extraordinary, though—I am in awe of her bravery and her strength and the unflagging fight inside her. When I began digging deeper into her history and her origins, I knew I had to share her story with young readers. Really, I wanted more than just a single line for Clara, and I wanted readers to know more of her as well. Q) If you could have met Clara Lemlich in person, what would you have liked to ask her? I would love to hear Clara talk about the proudest moments in her life. I’m guessing that day at Cooper Union [when she gave the fiery speech that inspired the Uprising of 20,000] would be up there, but I think I would also hear about her family. She lived a full life. She was an activist her entire life. I would love to just sit and listen to her recall the moments when life gave her moments of joy in return for all she gave to us. Q) Do you see Clara Lemlich as a role model for today's young women? and what social causes do you think she would be involved in today? A) Absolutely! There is so much about her experience that resonates with young people today: the immigrant story, the importance of education, her legacy as an activist, the evidence that an individual really can make a difference. I think she is an inspiration and a role model for us all—young and old, male and female. If I had to guess, I’d say Clara would still, to this day, be fighting for workers’ rights. I think she would be very interested in the fair trade movement, and in the struggle in this country for pay equity between genders. Q) Can you comment on how Clara Lemlich might have seen the ongoing struggle for rights for garment workers around the world? In many ways, nothing seems to have changed from the time of the Triangle Fire, except that the worst sweatshops have moved overseas. A) It wasn’t in Clara to be defeated, but I think she would have been really discouraged by the current state of the garment industry. I know she would have been devastated by the factory collapse in Bangladesh. Clara was an excellent public speaker and I believe she would be out there today, lobbying politicians and working to educate consumers about the origins of their clothing and the social cost of cheap labor. Q) Why did you choose to tell Clara's story in free verse? A) You know, I started telling her story in prose and I didn’t get very far. It just didn’t work. It felt flat—not quite enough to capture the intensity and tenacity with which she approached life. When I began experimenting in free verse, I found what I was looking for—a form that amplified the emotion, the struggle, and the triumphs of her journey. Q) Can you tell us what books you are currently reading? Do you read a lot of YA fiction, or a variety of genres? Melanie, thanks so much for this interview and for participating in Kidlit Celebrates Women's History Month. Melanie Crowder received many honors for her debut novel, Parched, including Bank Street’s Best Books of the Year, a Junior Library Guild selection, a Silver Medal in the Parents’ Choice Awards, and a starred review from the Bulletin. 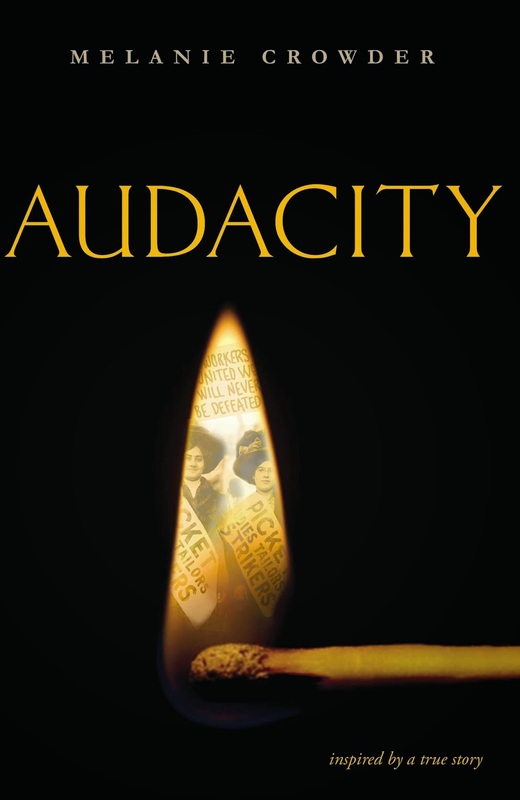 Her second book, Audacity, has received three starred reviews and is an Editor’s Choice at BookBrowse and a Top Pick from BookPage. Her third novel, A Nearer Moon, releases September 8 from Atheneum Books / S&S. The author holds an MFA from Vermont College of Fine Arts. 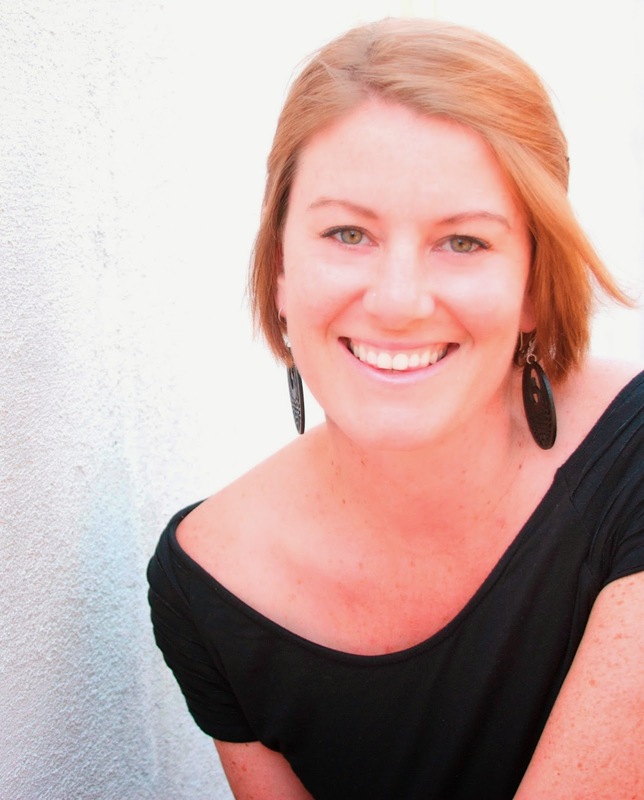 When she isn’t writing, Melanie can be found teaching, reading, daydreaming or exploring the beautiful state of Colorado where she lives with her family.